Switzerland has issued an expanded sanctions list against Russia which includes 5 banks, several companies and 11 Russian citizens. The move comes as the country doesn’t want to be used to bypass European sanctions on Moscow. On Wednesday the Swiss Federal Council decided to widen its policy against Russia and to take all the measures required “to ensure that the most recent sanctions imposed by the European Union cannot be circumvented via Swiss territory,” the State Secretariat for Economic Affairs said in astatement. The cabinet didn't name the five Russian banks, but in July, the European Union sharply reduced the abilities of Sberbank, VTB, Gazprombank, Vnesheconombank and the Russian Agricultural Bank. 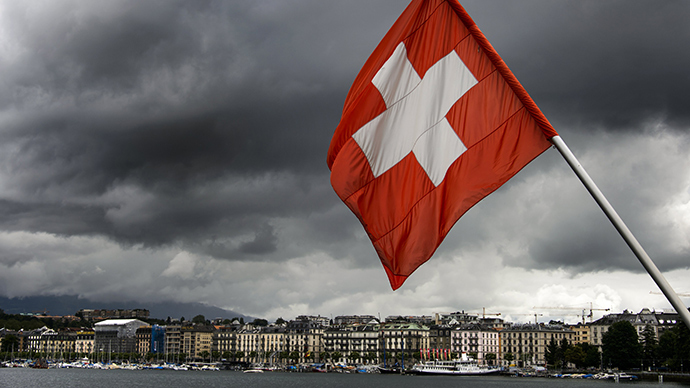 The affected financial institutions will have limited access to the capital markets of Switzerland. 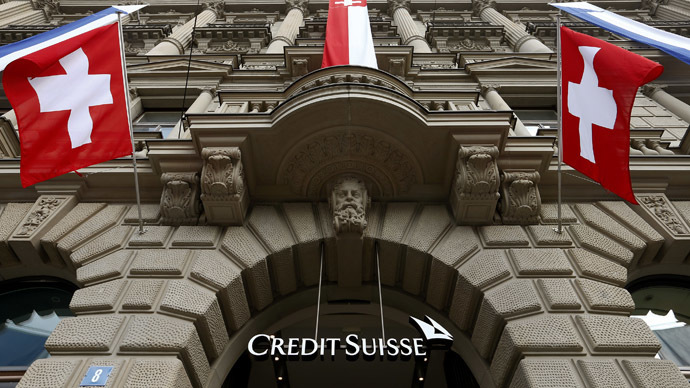 Moreover, Russian banks will require approval to issue long-term financial instruments in Switzerland, the statement said. Bern also said it had added a further 11 individuals and a number of firms to the list without specifying them. 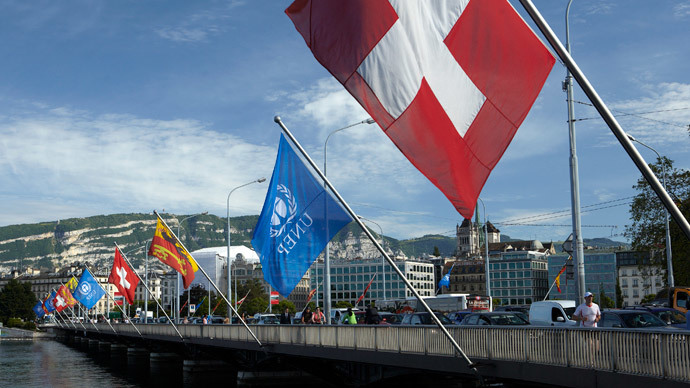 In addition, Switzerland has banned the import of materials for military purposes, the export of equipment for the oil industry, and limited the opportunity for investment in Crimea and Sevastopol. The statement also said that the cabinet won't try to promote any agricultural exports to Russia. Following the Russian food embargo, several European agricultural producers tried to re-export their goods through Switzerland, which were not included in the Russia ban. Sberbank, Russia’s biggest bank, has no intention in changing its three-year development strategy due to the sanctions imposed by the EU and Switzerland, according to the bank’s head Herman Gref. 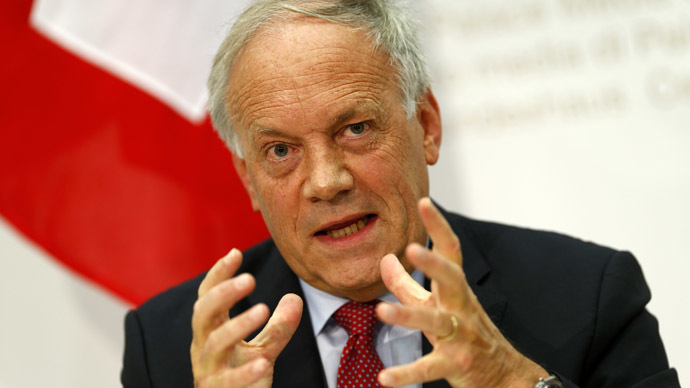 The Russian Ministry of Foreign Affairs called the Swiss measures unreasonable and harmful to the Swiss themselves. "We view these decisions.... as unfounded and as showing that the Swiss people, to the detriment of their own interests, are continuing to repeat the unfriendly steps by the United States and European Union towards Russia," the statement from the Russian Foreign Ministry said.